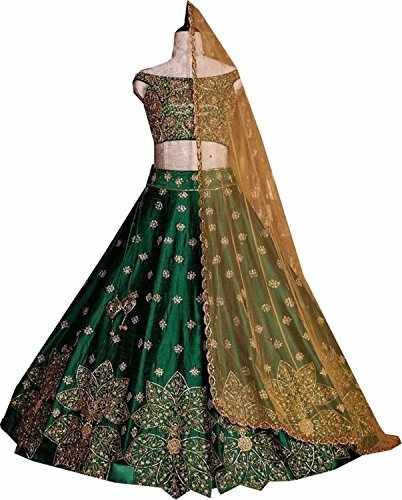 Be the centre of attention of the party with this classy Lehenga Choli from Rekha Ethnic Shop. The detailed weaving and designer Duptta will instantly elevate your fashion quotient. We recommend teaming this piece with a pair of strappy heels and a sleek clutch to complete your Indian outfit. If you have any questions about this product by REKHA, contact us by completing and submitting the form below. If you are looking for a specif part number, please include it with your message.